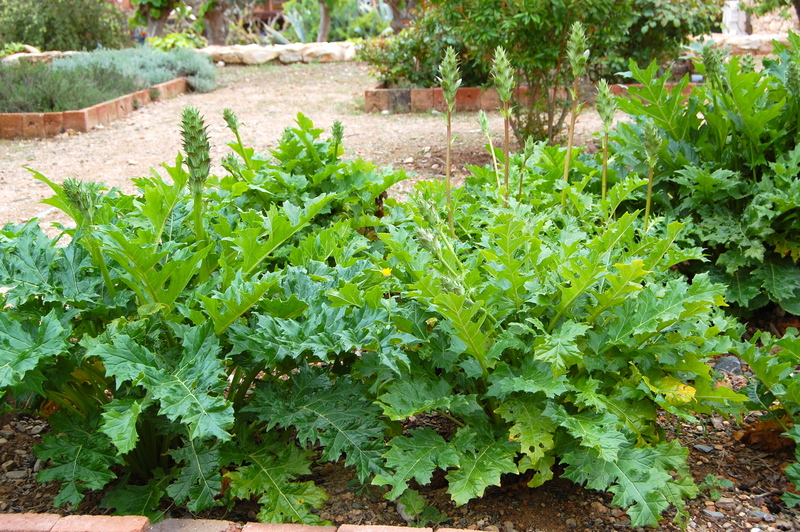 At the end of April we did something new and fun: we signed up for a Roman Gardening excursion. 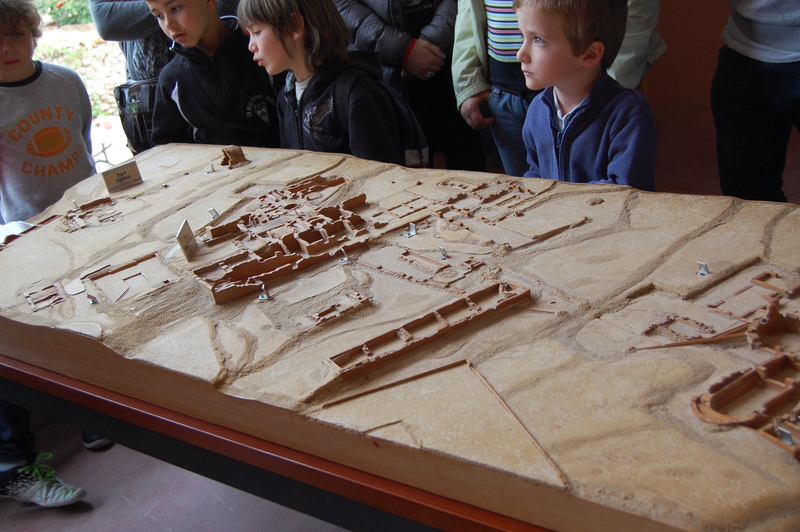 It took place in a Roman vila, La Vil.la Romana del Munts, not far away from Tarragona (Spain). The two hour activity is geared towards the kids and grown-ups. We went with our children ages 6 and 4. The six-year-old participated fully in all the activities. 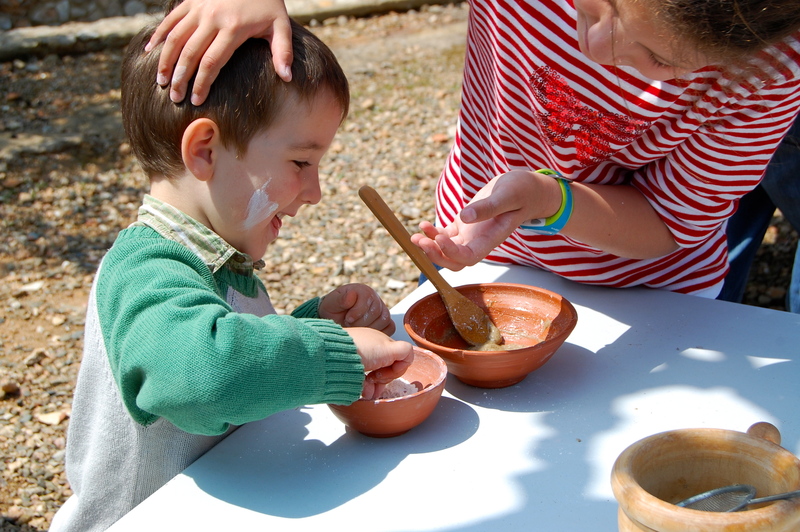 The four-year-old enjoyed the activities such as gardening and skin-lotion making with a Roman recipe. The rest of the time he tried to reconstruct the vila and climb the roman walls. And, no, he did not do much damage to the original Roman construction and I was grateful for the patience the guide had with us. He did not even notice how our son built a small fort in the middle of the hortus, how he hung on the olive tree, and how he tried to hit the 2000 y. o. aqueduct with 2000 y.o. stones (we stopped him on time). Spanish people have an amazing way with children. I am going to post some images and notes about the excursion and the activities. Here we are at the beginning of the activity talking about the structure of the Roman vila and where the baths and the housing were located. 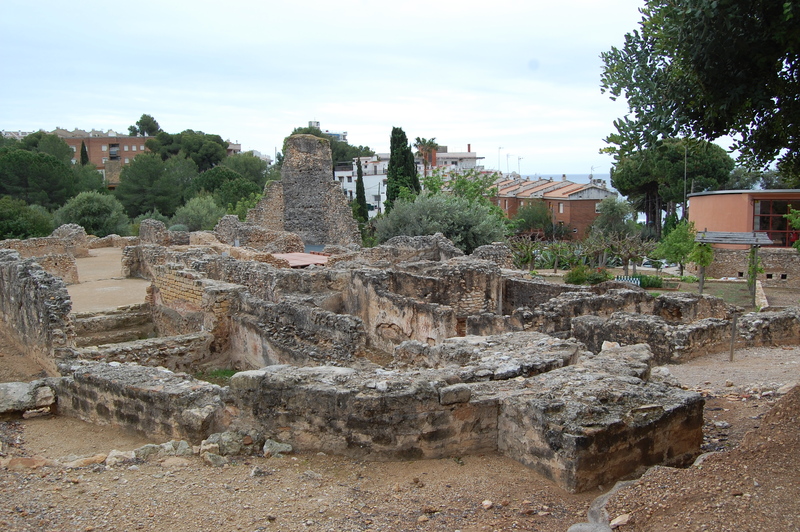 In its time this vila was very rich, it belonged to the high official of Tarraco (Tarragona). It even had a private aqueduct for watering the fields and the gardens. Termes. 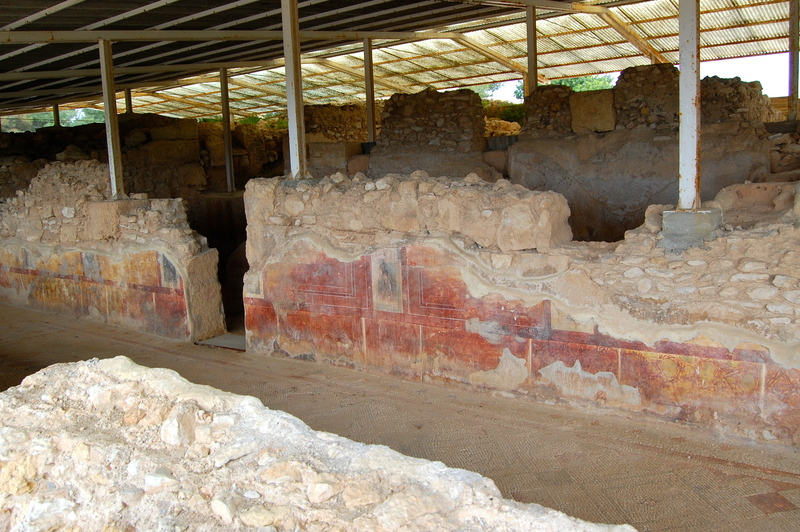 The “baths” of the vila. The baths consisted of dressing area, hot therms, and then cold therms. There was a marble incrustation along all the therms, a sign of richness. 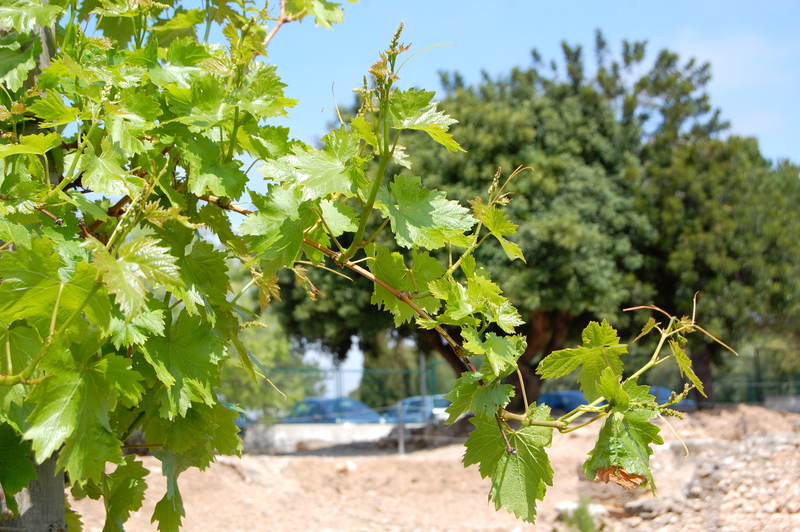 The plants that Romans planted in this region and how do we know about it. The guest-rooms in the vila. Each guest-room consisted of two spaces, entrance room and bedroom. 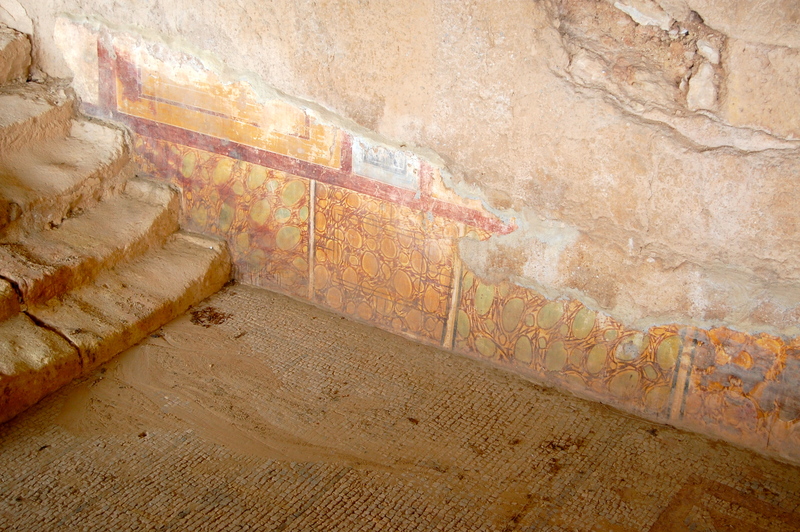 You can see floor mosaics and some frescos on the wall. The part of the guest-space in the vila. 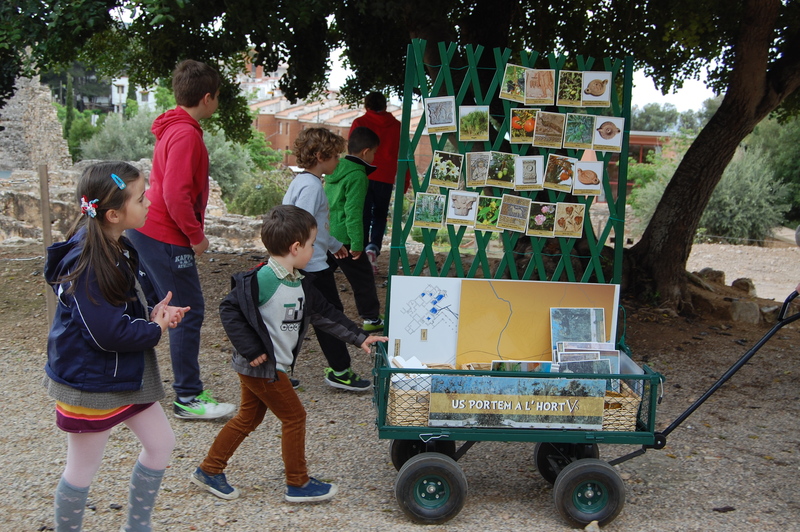 Kids following the gardening trolley back to the garden area. Walking inside of the Roman baths. The Roman garden (hortus) viewed from the therms. 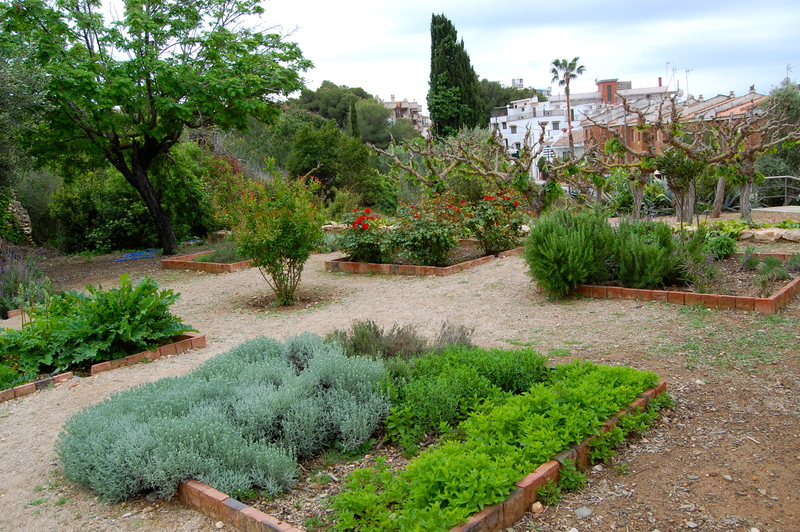 Hortus was a flower and spice garden that Romans planted close to the therms. They used it for relaxation and pleasure. 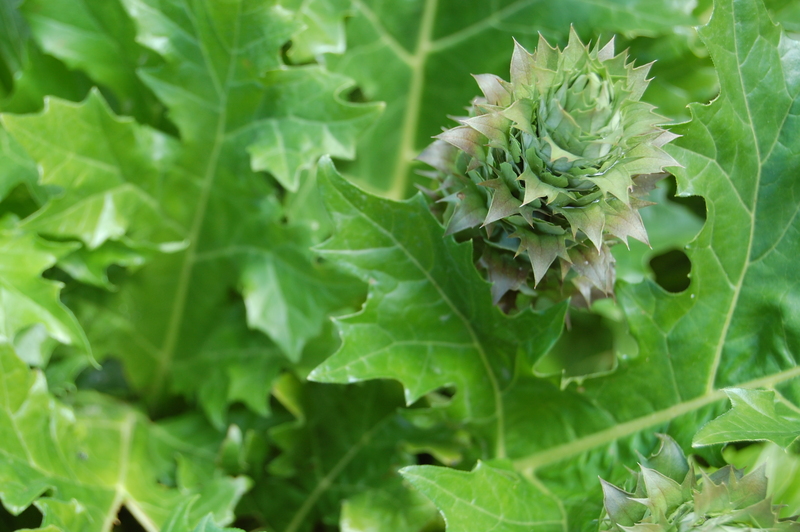 The leaves of acant. Many columns’ capitals were decorated with this plant. 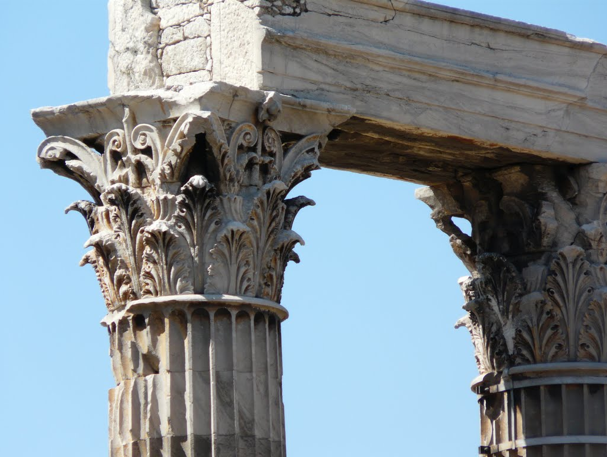 Below I posted an image of a column with the capital decorated with the acant leaves. 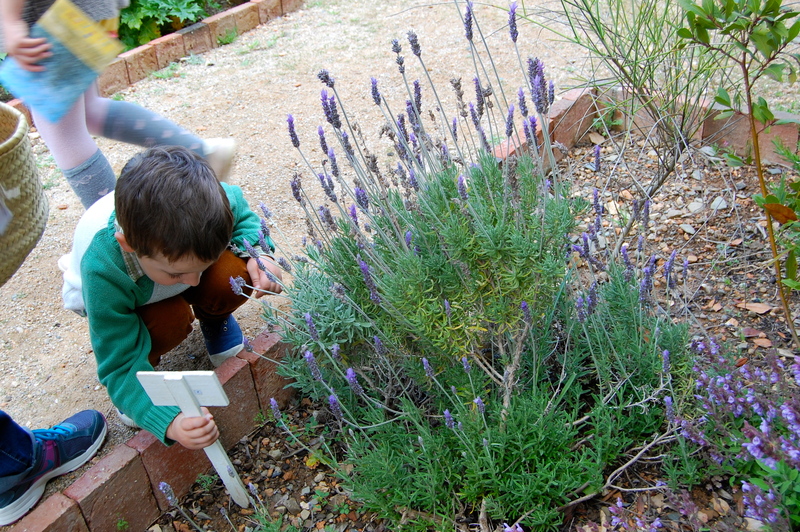 Working with lavender in the Roman garden. 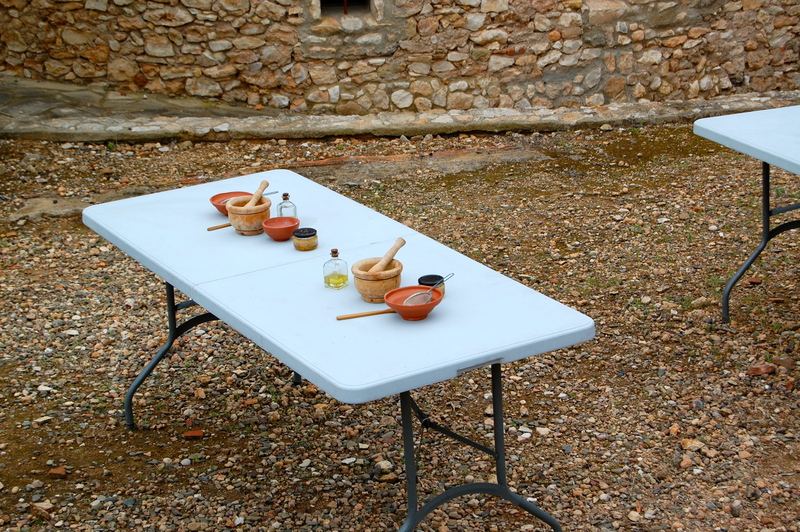 Tables set with ingredients for making skin lotion following a Roman recipe. 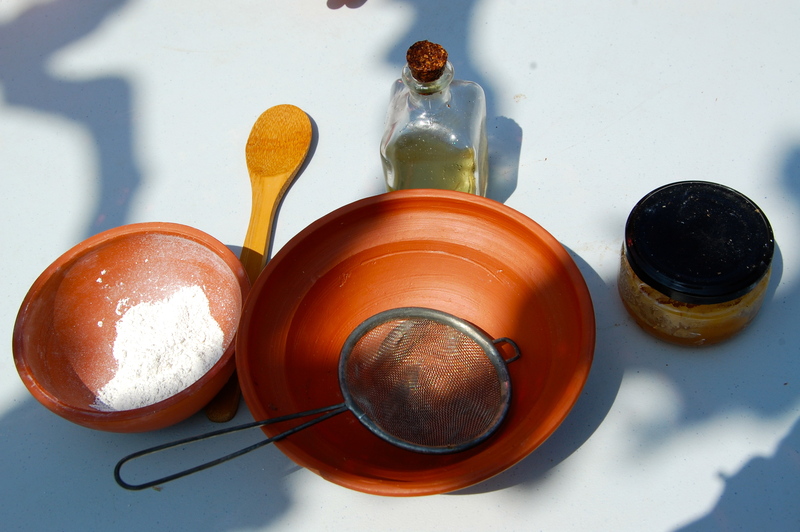 The skin lotion was made of lavender, honey, olive oil, and clay powder. I tried the lotion on my face and hands. It is really sticky. Romans probably washed themselves throughly after using those lotions :). 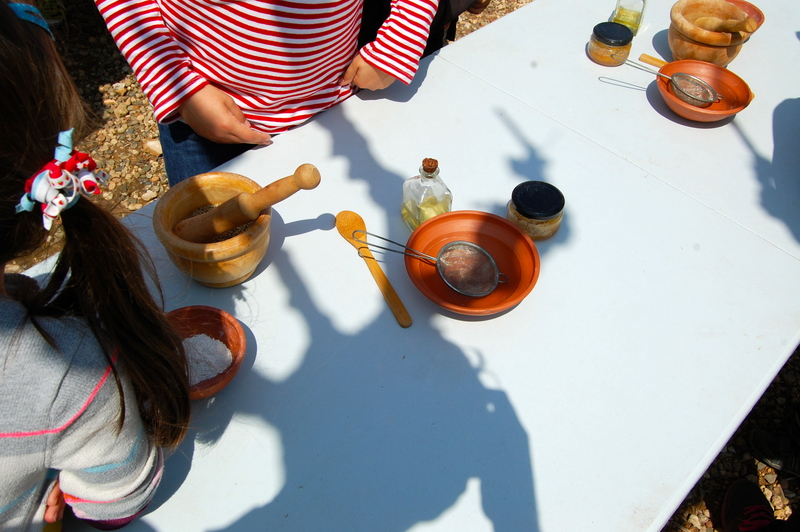 Kids enjoyed forming groups and making the skin lotion. My son having a blast with powdered clay. 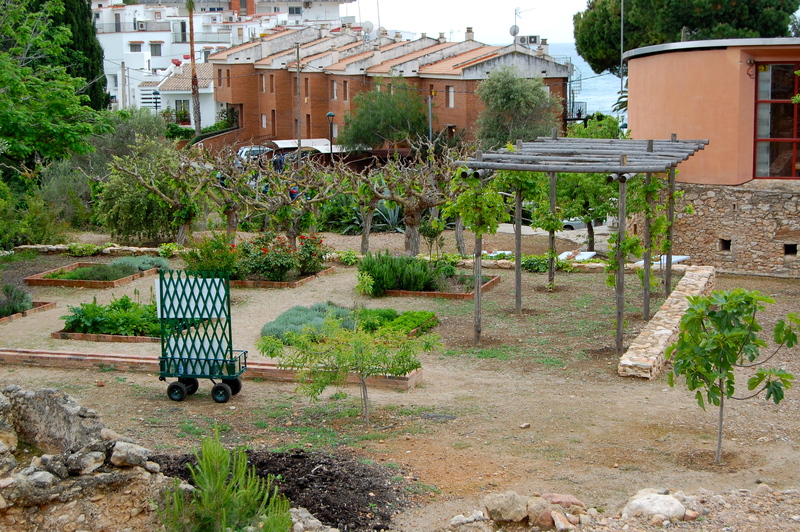 The Roman vila is located in a small Mediterranean town called Altafulla. 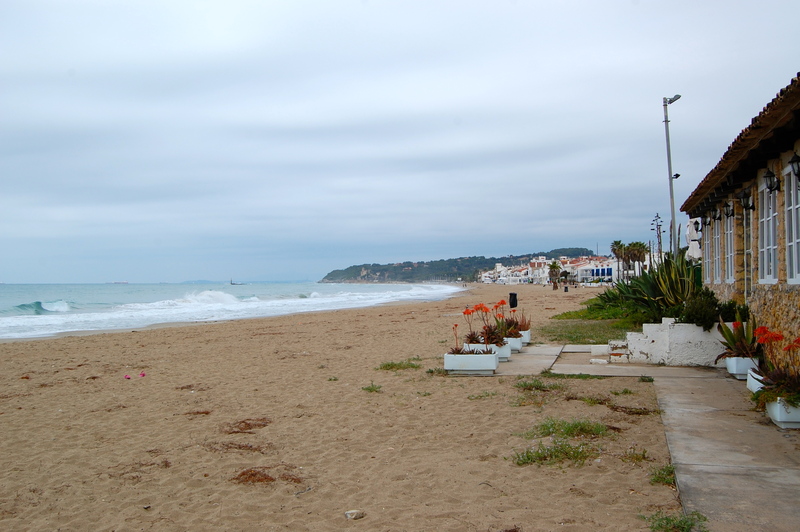 The beach was beautiful and peaceful that morning. At 10am everybody was still asleep in this small town. 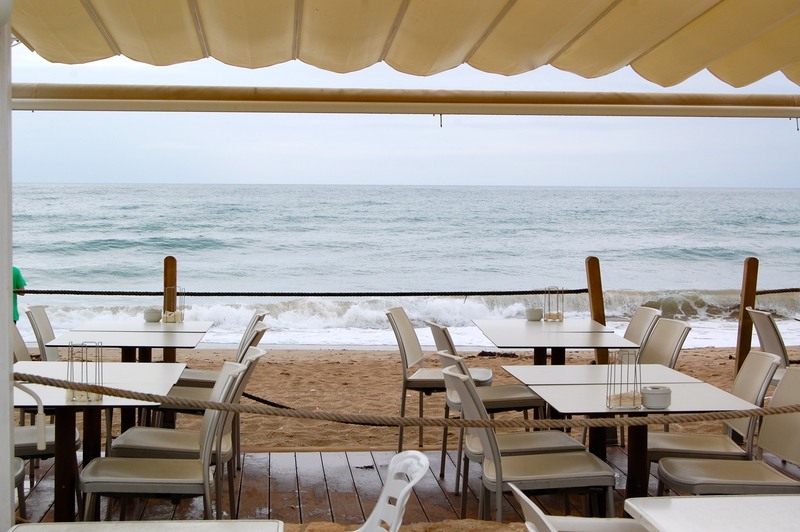 Coffee at the empty cafe on the beach. 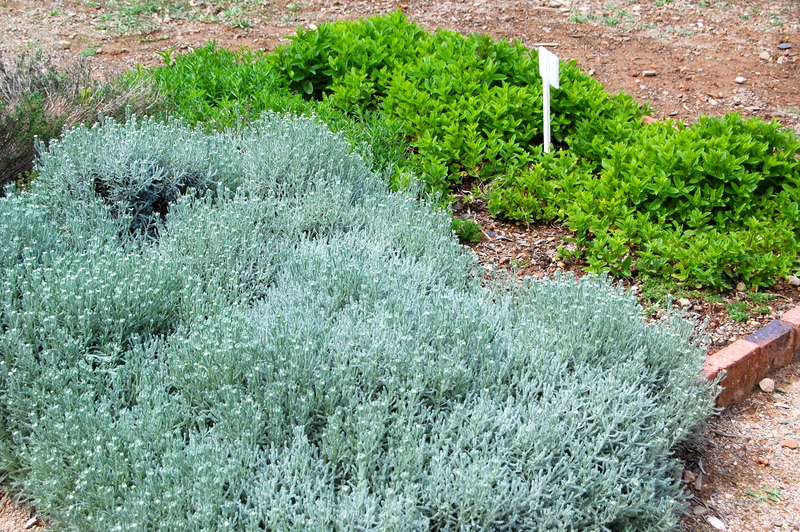 I was surprised at the amount of nowadays plants that Romans used to plant. 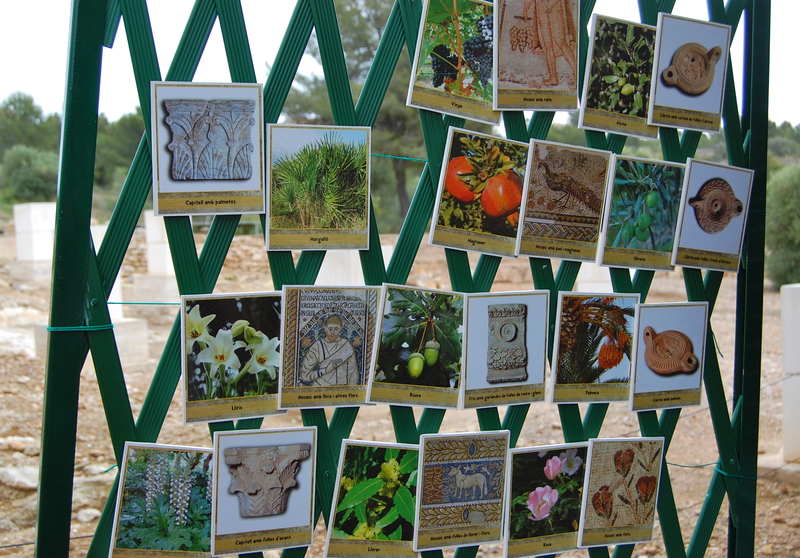 At the end of the activity each of us was given a booklet with the names of all the plants that Romans planted in this region.